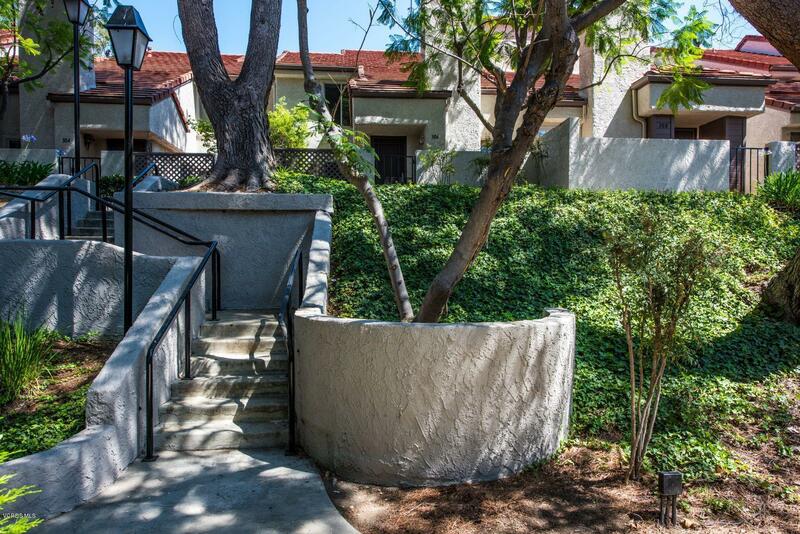 Desirable Hidden Canyon unit in Westlake Village. Vaulted ceilings, large open family room with travertine stone fireplace and wood mantle. Dining area & eat-in kitchen. Upgraded kitchen with refaced cabinets, travertine stone, counter-tops & stainless steel appliances. Neutral paint colors, smooth ceilings, dual pane windows. Beautiful hardwood floors & recessed lighting. Upgraded bathrooms with travertine stone surrounds with sliding glass enclosures, flooring & vanities. Two patio areas withatrium, peaceful & relaxing. Two car garage. Community pools & spas. Great central location adjacent to schools, shopping parks, golfing & open space.